Heat the oil in a medium soup pot over medium heat. Add the garlic and sauté for 30-60 seconds or until fragrant. Add the sausage and cook until browned and thoroughly cooked. Stir in the crushed tomatoes, dried basil, and oregano. Cook for 5 minutes to reduce slightly. Stir in the milk, cream, and fresh basil. Reduce heat to low and simmer for 10-15 minutes. Add salt and pepper to taste. Serve with an additional sprinkling of freshly ground pepper and a side of Epic Grilled Cheese. This looks lovely Amy! So glad you enjoyed it. This sounds wonderful! Tomato soup has always been a favorite of mine and this just takes it up a notch! It looks wonderful - I've never thought of adding meat to this type of tomato soup before either but it would definitely make it into a lovely hearty meal. This time of the year, there is nothing like a piping hot bowl of homemade soup to warm you up. This looks delicious. Great choice for SRC. That soup is getting pinned. I had Ellie's blog not to long ago, how did I miss that soup? Nice photos and love that little grilled cheese along side. I would have been drawn to this also. It is a hearty soup - great for the winter weather. Sounds awesome and perfect for the chilly winter days ahead. Yum! 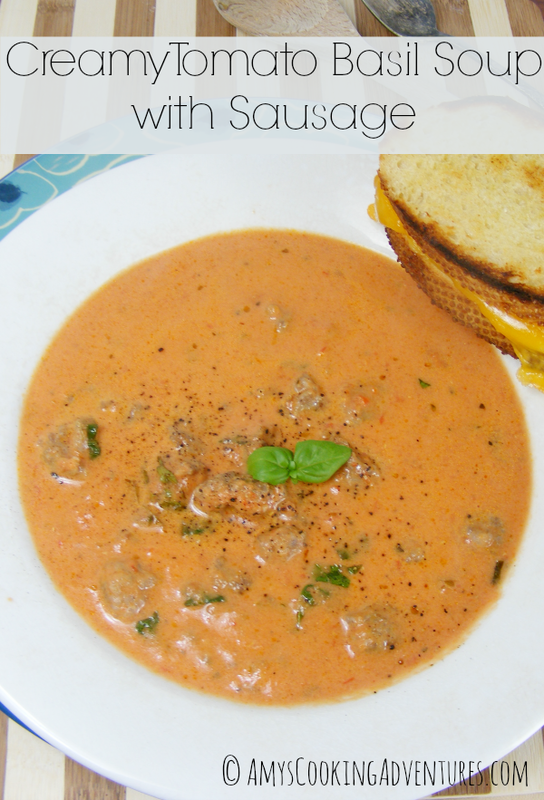 I love a good tomato soup and this one looks great with the addition of the sausage. Sounds yummy!!! Love a good tomato soup especially when it's fancied up with basil. I would have never thought to add meat either. 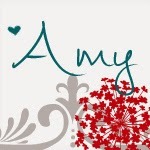 Okay Amy, this SRC looks like it would be a lot of fun but I can't join because my blog doesn't meet the criteria....YET...but it will one day and then I hope to join you all...but don't tell because it is a secret!! 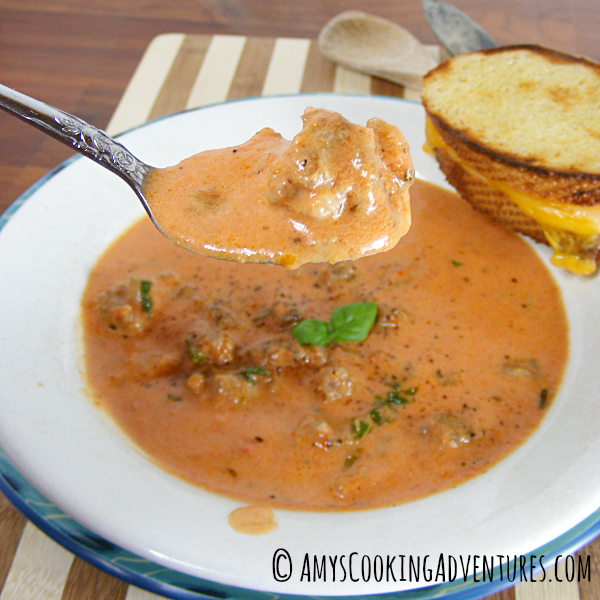 Grilled cheese and tomato basil soup - now that's a tasty comfort food menu for Fall! Soup is so good for a cold day! I hardly ever have heavy cream in the fridge either but I have some leftover from another recipe at the moment and I was just thinking a rich creamy soup might make a nice change. Sounds so good to me! Perfect for this crazy cold winter! This is a perfect snow day recipe! Now we just need more snow! I miss the Secret Recipe Club. I will be making this next week. How delicious looking and I know I like the ingredients!